Greetings to all, and thanks for stopping by this week! Last week we covered a few of the many bases that gamescom brought along. Now that the Deutschland dust has settled around these parts, heads are back down for the final push towards the launch of Halo 5: Guardians. In the coming months we’ll be beginning to ramp up our primer coverage of the next big chapter in the Halo universe, and we’ll have plenty of inside looks at new lore that I’m pretty sure fiction fans will pretty very excited to see. 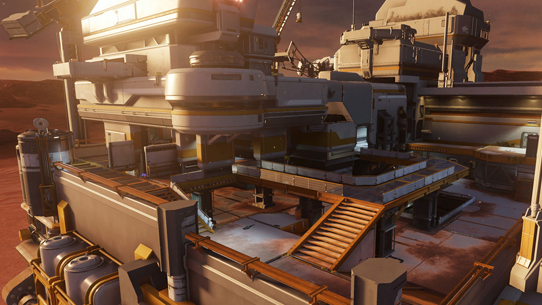 This week we’ve got a new glimpse at the lore for two new War Games playspaces, and a couple community queries to clear up. Read on! Meridian’s original inhabitants enjoyed the moon’s temperate climate and fertile land for decades. But when the Covenant unexpectedly arrived in 2551, the world’s impressive population and robust economy were suddenly laid low, glassed to the brink of extinction. Now, still clinging to the ghosts of commerce, mining platforms like this one scour what remains of the world’s surface—a tragically hollow attempt to resurrect the colony’s past opulence and splendor. Q: What is the reason behind the atypical names of Field Master Re'gish Wamik and company commander Je'ddak Zule? A: While the majority of Sangheili clan and house names incorporate an opening apostrophe in their presentation, some have names tied to heroes, battles, and legends that harken back to the earliest ages of Sangheili history. These more ancient family names often retain the quirks of a more antiquated Sangheili dialect. 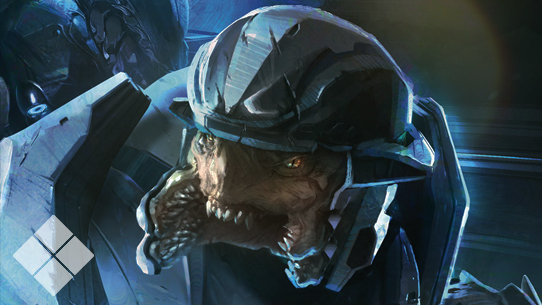 Of special note, while Halo fans of heard little of Re’gish Wamik outside of his appearance in Halo Wars, his military career with the Covenant is much more well documented by the UNSC, as Wamik would eventually become a thorn in humanity’s side throughout the Covenant War. So much so that ONI’s War Games designers utilized field data on Wamik to create a boss construct for Warzone scenarios to test Spartan operatives against in the March on Stormbreak simulation. Q: In the recent Blue Team B-Roll released over the weekend, we discovered that Kelly has an English/Scottish sounding accent. However, in the Halo: Legends episode "The Package" Kelly has a more Americanized accent. I was wondering why 343i decided to give Kelly that accent? Was it a piece of lore that managed to slip through, or am I wrong myself entirely? 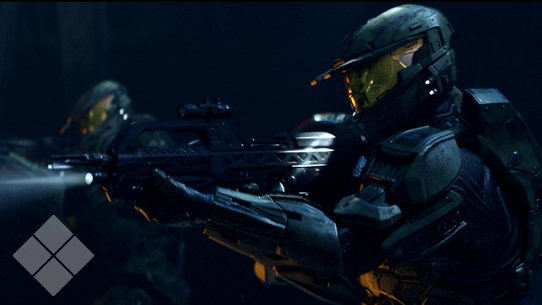 A: There are several details of the stories told in Halo: Legends that fall more under the realm of artistic and stylistic interpretation, many of them already widely recognized by fans. This includes certain aspects of character portrayals, the voice of Kelly-087 being one such example. 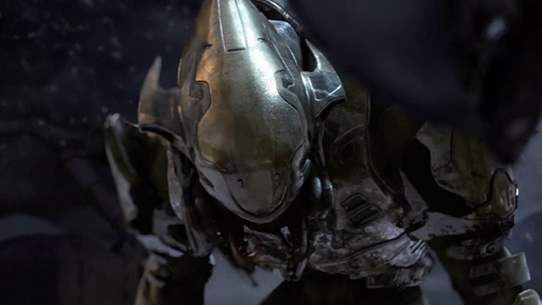 The accent and overall “personality” of Kelly’s voice in Halo 5: Guardians and Halo: The Fall of Reach animated series should be currently considered the “definitive” portrayal of Kelly’s voice. That brings us to a close for this issue. 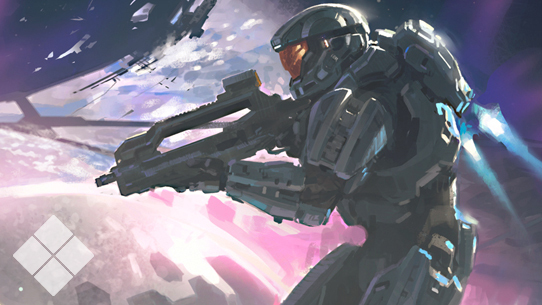 Tune in next time for a look back at Halo: Hunters in the Dark, where we examine some of the recent novel’s connection to not just Halo 5: Guardians, but its link to other corners of the universe as well. See you then! Until next week… Live well, play Halo, and I got twenty credits on camo…take that bet? 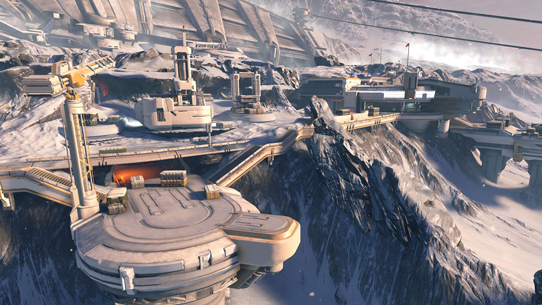 This week in Canon Fodder, we revisit Halo: Hunters in the Dark. 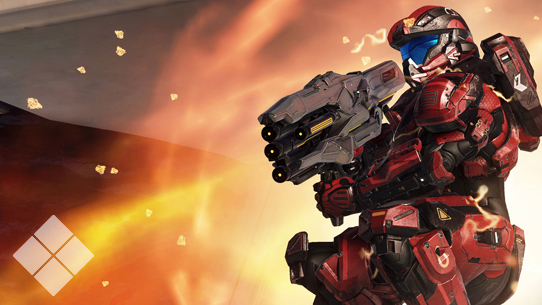 This week in Canon Fodder we look over some of the new Halo information coming out of gamescom.